Yesterday, I went to my parents house to go through some things I still have at their house (yes, we’ve been married 7 years, but their house is bigger!). I have a box full of cards. Probably every card I ever received until I was 18 … way too many. They were dusty, the box wasn’t sealed tightly, and I went through each of them reading the words and names inside. My hands got dirty and needed washed when I was done. I realized that at the time the words inside those cards were valuable to me. I didn’t keep a note someone wrote telling me how much they didn’t like me, or that they weren’t going to be my friend anymore. I kept notes telling me what a good friend I had been, that they loved me, or were glad we had been friends. There were plenty of cards that I threw away, I either had a lot of cards from them, or the person wasn’t as much of a presence in my life as they were when the note was written. My friend from Kindergarten’s hand drawn card was special at the time, but now I haven’t seen her in over 10 years, it’s not quite as important. Then it hit me, it’s like the mental filing cabinet we women keep, the one with every wrong anyone has ever done against us in it. We forget to keep the good notes though. It’s so easy to stick a note in saying, “You threw (fill in the blank) away.” I actually have a file full of this in my (mental) file cabinet, (it’s pretty dusty and dirty too) and my automatic response is that Gerad threw something away if I can’t find it. The other day I found Ben looking for something and blaming it on Corbynn and then Gerad throwing it in the garbage. The reaction was immediate, I’ve taught him that. 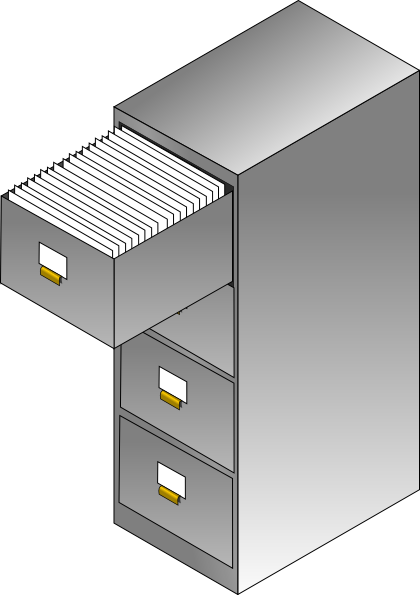 I realized the way to un-teach that is to replace the files in my file cabinet … I have to replace the files with things that Gerad has done that are positive. This morning on his way to work Gerad called me and told me he saw a box in the back yard on his way to work, but hadn’t had a chance to see what it was and asked if I’d see what the kids had been up to. I went out to our patio and found the ice cream maker I’ve been wishing for. When I came back in Ben asked me what I had, I realized it was a perfect opportunity to re-teach him how great his dad is to me. Gerad isn’t the guy who throws my stuff away, (which he will admit to doing sometimes, but not nearly as often as I blame him) he’s the guy who buys me gifts for no reason that I’ve had my eye on. I’m going to purpose to deleting and throwing away the notes that are negative and in general not necessary. I’m going to begin to more carefully file and then highlight to my children the positive notes from Gerad. What kind of notes do you need to purge?